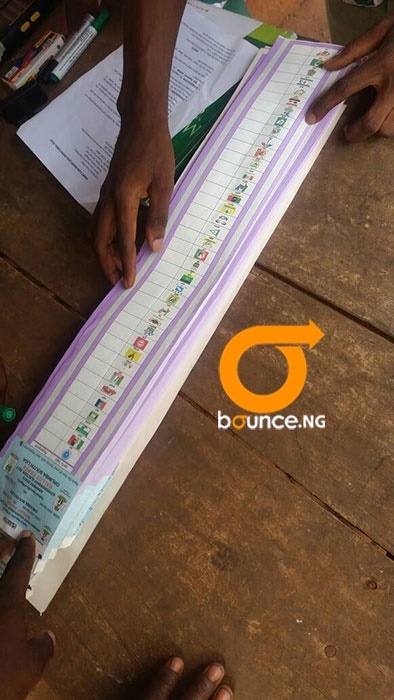 A ballot paper being examined by an INEC official at polling unit. . 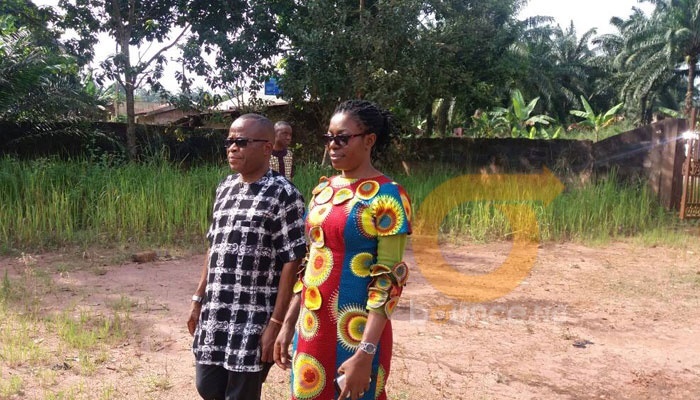 The incumbent governor of Anambra State and a few other candidates of other parties have voted while some are still waiting for INEC officials to bring materials at some polling units. Anambra governorship election has commenced with few candidates of different political parties among the early voters. Election did not start by 8:00 a.m. in most polling units are scheduled by the electoral body. At Eri Primary School in Aguleri, Anambra East Local Government Area, Governor Obiano cast his vote at about 9:50 a.m. local time. After he voted, the Governor called on the people of the state to come out en masse to exercise their franchise and ensure that their votes count. "I am okay with the election and I am confident of securing victory in the poll,” he told reporters. Obiano commended the people in the council area for their impressive turnout for the poll. Also, the UPP governorship candidate, Osita Chidoka, voted at Obosi Central School at 10:05 a.m.
Chidoka, however, decried the late arrival of officials and materials to some polling units. At Igwbike, the PPA governorship candidate, Mr Godwin Ezeemo, had to wait at Umuchu Ward 2 for over 1 hour for officials of INEC to arrive with materials. He condemned the delay and questioned if it was a tactic aimed at frustrating voters in his stronghold. At voting boots, observation showed more women were voting while men and youths turnout was low. Most youths have abstained from the election apparently in observance of a sit at home ordered by the Indigenous People of Biafra (IPOB). Images online have showed some of them playing football on the street while others at at home, claiming they are observing the sit at home order by IPOB.